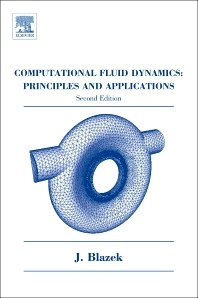 Computational Fluid Dynamics (CFD) is an important design tool in engineering and also a substantial research tool in various physical sciences as well as in biology. The objective of this book is to provide university students with a solid foundation for understanding the numerical methods employed in today’s CFD and to familiarise them with modern CFD codes by hands-on experience. It is also intended for engineers and scientists starting to work in the field of CFD or for those who apply CFD codes. Due to the detailed index, the text can serve as a reference handbook too. Each chapter includes an extensive bibliography, which provides an excellent basis for further studies. Practising and professional scientists and engineers in the wide range of disciplines using CFD: civil, mechanical, environmental, fluid mechanics. Jiri Blazek received his MSc in Aerospace Engineering from the Institute of Technology in Aachen, Germany in 1989. He continued his research at the German Aerospace Center, DLR, and in 1995 obtained his PhD in Aerospace Engineering, focusing on CFD methods for high-speed flows, from the University of Braunschweig, Germany. Following this, Dr. Blazek worked as a research scientist at ABB Turbosystems in Baden, Switzerland, moving to ABB Corporate Research Ltd. (now ALSTOM Power Ltd.) as researcher and project leader for CFD code development in the fields of gas and steam turbines. He was appointed as senior research scientist at the Center for Simulation of Advanced Rockets, University of Illinois at Urbana-Champaign, USA and in 2005 founded his own consultancy and software development firm, CFD Consulting and Analysis, in Sankt Augustin, Germany. 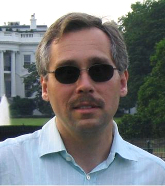 Dr. Blazek’s main research interests include: CFD code development - especially in the area of unstructured grids, aircraft and turbomachinery aerodynamics; shape optimization; and data visualization.